By Scott Gilfloid: British and Commonwealth heavyweight champion Tyson Fury (15-0, 10 KO’s) has made no secret about his disdain for former WBA heavyweight champion David Haye, who he feels fought poorly against IBF/WBO heavyweight champion Wladimir Klitschko on July 2nd. Fury has said more than once that he thinks he would easily take care of Haye if they were to ever meet in the ring. However, Fury is now adding the chunky former British and Commonwealth heavyweight champion Dereck Chisora to the list of fighters that he thinks would also beat Haye. I guess when it rains it pours for Haye. There it is. Fury is suggesting that Chisora would beat Haye as well. Gosh, poor Haye. He’s gone from the very top of British boxing to lower than the recently beaten Chisora in the eyes of Fury. My, how things have gotten bad for Haye. And to top it off, Wladimir Klitschko has zero interest in beating him again no matter how many times Haye pleads for a rematch. Wladimir wants Haye to fight at one or two guys before a rematch, but Haye doesn’t want to and just wants the rematch straight away. How sad. 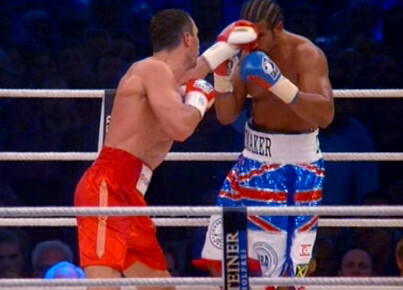 Now Haye is going to likely retire in October when he turns 31, and this is how boxing fans will likely remember him for his humiliating defeat against Wladimir.